The Commonwealth Winter Games: Who Knew? The Winter Olympics start in Sochi in just a couple of days’ time, amid considerable controversy. A few months from now, the Commonwealth Games will be held in Glasgow, with much less fanfare. 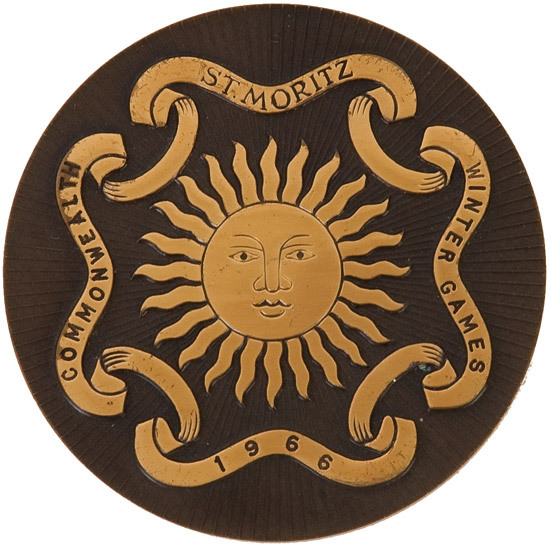 But did you know that on four occasions there were Commonwealth Winter Games too, intended to complement the main summer event and to encourage participation in skiing, skating and sledging? The Commonwealth Winter Games were the brainchild of Thomas ‘Tyke’ Richardson, a Cambridge-educated ice skater, who in his youth competed alongside his wife, Mildred ‘Wag’ Allingham, including at the 1924 Winter Olympics, before going on to a successful career as an international skating judge and author. ‘Tyke’ Richardson led a group of British winter sports enthusiasts in the mid-1950s who wanted to create an additional platform for their talents, one on which they could compete with friends and rivals from Canada, Australia and elsewhere in the British realm. He managed to find enough support, both financial and sporting, to stage the first iteration of his games in 1958, with subsequent events held according to the traditional four-year cycle. 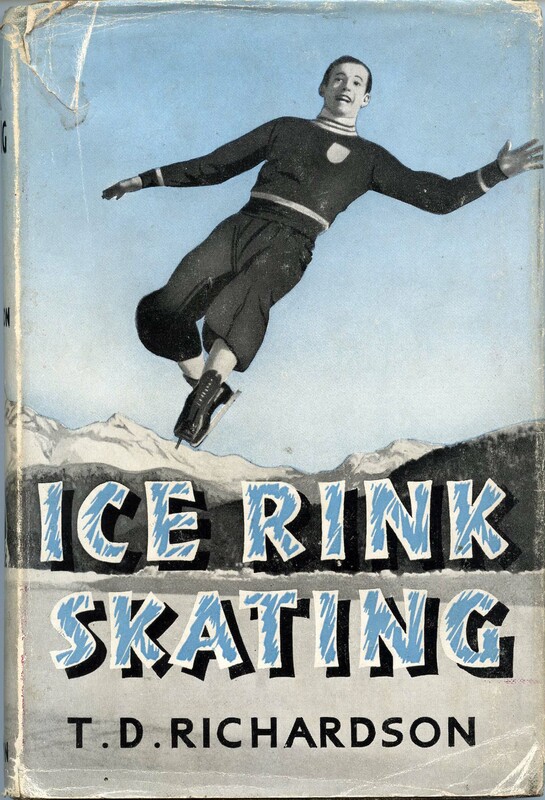 One of ‘Tyke’ Richardson’s many books on skating. The person on the cover does not look entirely in control. Of the 1958 games The Times wrote that entrants had come from more than a dozen countries (no mean feat, the paper’s correspondent said, since the date of the event had been set only three months in advance, though the four nations of the United Kingdom were counted individually as is the Commonwealth way). Competitors came from England, Scotland, Wales, Northern Ireland, Canada, Australia, New Zealand, Rhodesia, Nyasaland, Hong Kong, Nigeria and Pakistan – few of them places particularly associated with snow or ice. 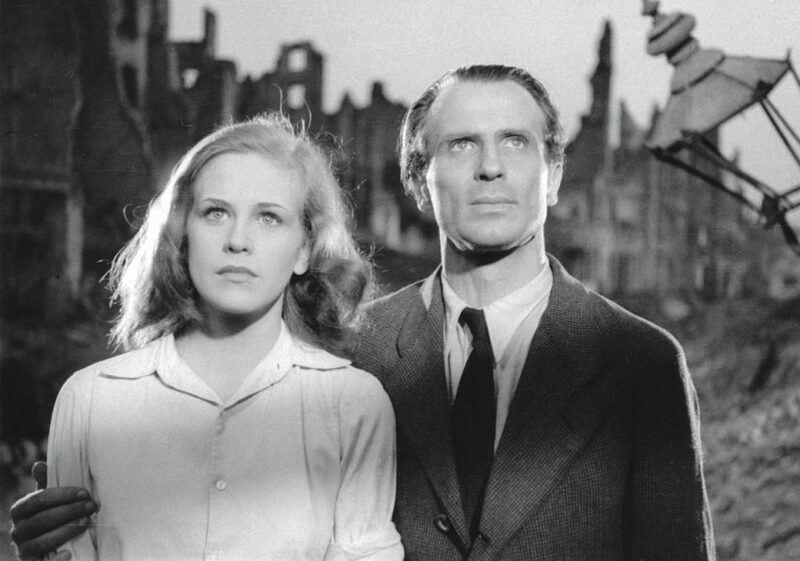 But predictably it was the Canadians who were ‘expected to […] take most of the honours’. Does this mean that the Games were held in the Rocky Mountains? No. The venue was St Moritz in Switzerland, a country that had never been part of the British Empire. ‘The Games, being unofficial and informal,’ The Times wrote, they ‘carry no opening or closing ceremony.’ And this informality also meant that races took place amidst an atmosphere of ‘friendliness and true amateurism’ which, the paper said, harked ‘back to the old days of the first modern Olympics.’ Richardson’s own hope was that, with age, the Commonwealth Winter Games would grow in status and seriousness to be adopted by the official Commonwealth movement, and presumably to acquire more of that latter-day killer competitive instinct. It appears that the Commonwealth Winter Games have left little in the way of legacy. A half-hearted attempt was made to revive them before the 2010 summer games in India, but, perhaps unsurprisingly, the idea of skiing down the contested slopes of Kashmir met with little support. Probably the main surviving testament, therefore, comes in a series of beautifully-designed medals and plaques, all featuring a distinctive sunburst, which can be seen dotted around the internet, often on sale sites. If you are watching events from Sochi over the next few weeks, imagine how much better British and Commonwealth competitors would be doing if they had had a Commonwealth event to nurture them. Perhaps even Eddie ‘The Eagle’ Edwards would have jumped his way to a medal in 1988! 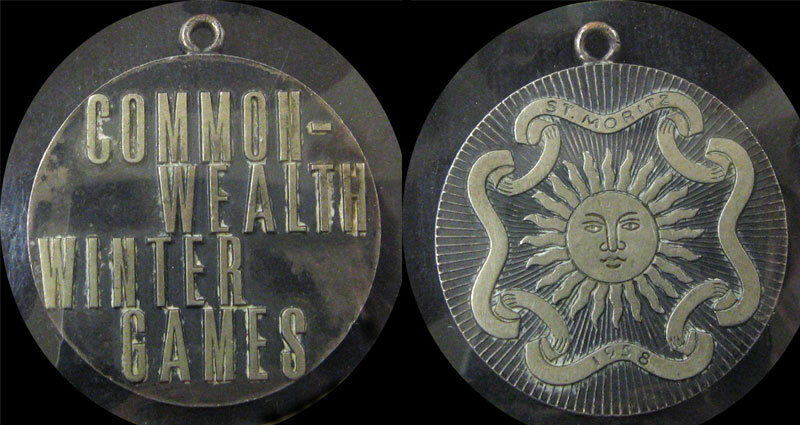 A medal, obverse and reverse, from the first 1958 Commonwealth Winter Games. A medal from the 1966 games. Thanks for this. I’m a skating historian and very interested in Tyke and his wife. Tyke wrote a letter just prior to the 1970 Winter Games that expressed confidence in its future. At this point he had battled for many years to get reforms made within figure skating; often meeting resistance. They were controversial because they were judges and journalists and many felt this was a conflict of interest but they did a lot of good for skating and winter sports in general.